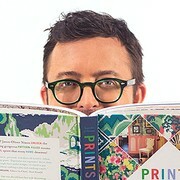 As one-half of heralded design duo Madcap Cottage, Jason Oliver Nixon has built his ottoman empire as the prince of prints. But his knowledge of design goes beyond pattern: he’s a walking, breathing encyclopedia of style! In “The Furniture Geek,” Jason’s sharing his vast wealth of knowledge, from the little-known origins of popular silhouettes, to clues about color and cues on quality. Watch--and learn--as our resident geek of chic conducts his study on style.